Christmas Baking is here! What are your favorite things to make? Some of my favorite things to make this time of year are cinnamon rolls, cupcakes, and quick breads. Yeah, I get carb happy this time of year. With the cold weather, I can’t help it. 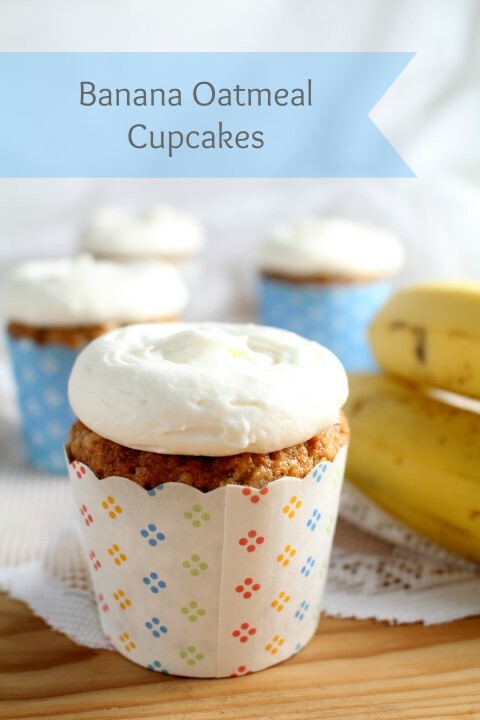 These Banana Oatmeal Cupcakes are a fun twist on a few of my favorite things, cupcakes, banana bread and cinnamon rolls all together. They’re made with whole grain oats that give them a tender, hearty texture, while the bananas bring the moistness and the cream cheese frosting provides a little tang. Browned butter and peaches make these cupcakes with a tender, moist crumb perfect for summertime celebrations. Happy Monday to each of you. I hope you all had a relaxing weekend and are ready for a productive week. We enjoyed a weekend with out of town guests that included a bonfire, lots of food and great weather. I’m loving summer. This morning I was able to plan out my blogging and personal goals for the week. Nothing makes a better start to a Monday than knowing where I’m headed the rest of the week. I have some exciting recipes and posts I can’t wait to share with you, starting with this one. 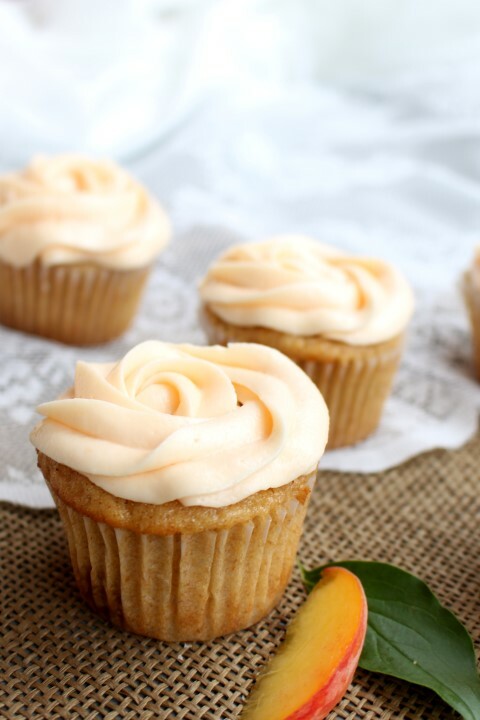 These Brown Butter Peach Cupcakes rank up there as one of my favorite cupcakes ever. A moist, fluffy key lime cupcake with a graham cracker crust, topped with smooth lime cream cheese frosting. Usually, I will choose lemon flavors over lime any day. However, I love key lime pie with all its creamy, limey tangyness and sweet graham cracker crust. One of my favorite things to do in the kitchen is take traditional deserts in the kitchen and remake the flavors in new ways. The flavors in classic deserts are impossible to beat. They’re classics for a reason. New, trendy flavor profiles will be created, but I believe there will always be a place for the traditional. 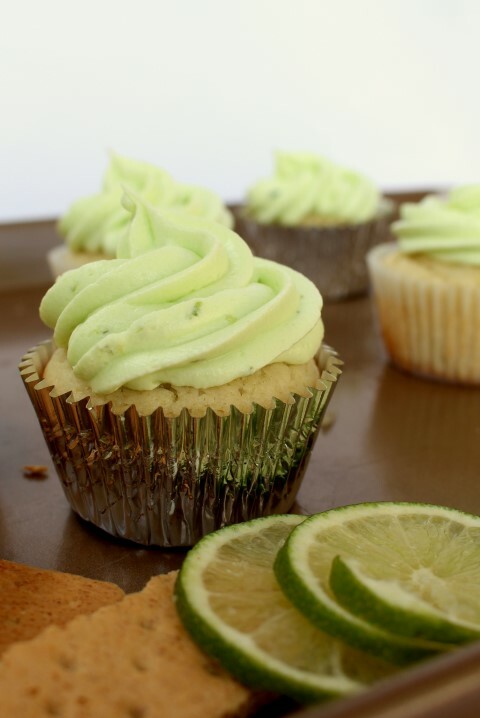 Here is my take on key lime pie in cupcake form…. Who wouldn’t love a rich chocolate cupcake with fluffy milk chocolate frosting for their birthday!?!? Be sure not to forget the sprinkles. A few days ago, I posted my favorite chocolate cake recipe. 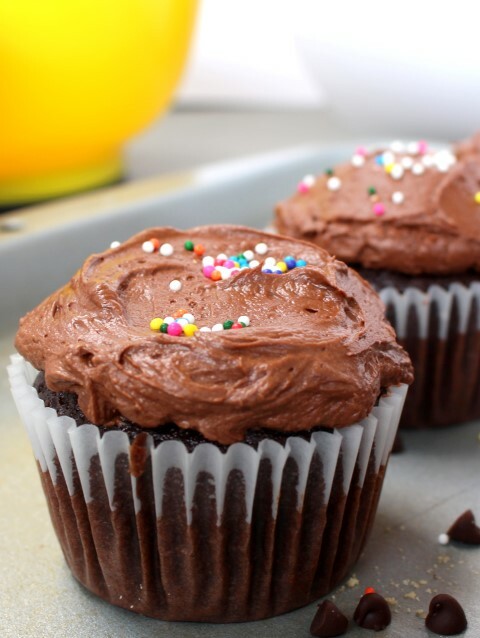 These cupcakes are an adaptation of that recipe to bring you the perfect chocolate cupcake. They are topped with a fluffy milk chocolate frosting and sprinkles to make them birthday perfect.